I’m still into prettying up my nails, but as you can see, I’m not super consistent about it. My hands have been bare for weeks, perhaps even months. My toes on the other hand are almost always varnished – partly because I feel a bit naked if they’re not, particularly when I’m at yoga. 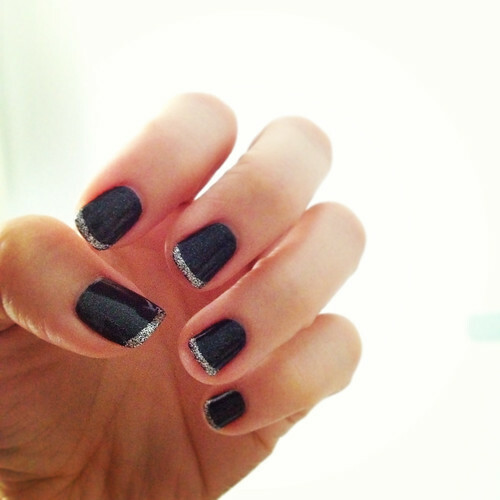 Current look: shimmery black OPI (didn’t get the name) with glitter tips in silver. Christmas 2012 nails: Gelish nails, normal varnish with glitter gradation on toes. Didn’t get any of the names.